At 5:30 this morning, Meenal left. And now, the whole house is silent. FINALLY! I can sit alone in my silence and not share my oxygen with another human being. I can open up my snacks and not worry that fatty will ask for some. I can write on my blog and not have her stare at my screen. It feels great to get my life back. Okay, I can't do it. This is too sad. The house is too quiet. There's no sound of her talking non-stop, there's no sound of her munching on crisps, there's no sound of her talking non-stop while munching on crisps. It's weird and it's sad and I want her to come back. When I was little, I used to get super attached to all of our house guests. Even if they spent just a few hours with me, I'd start crying when they had to leave. It was probably because I was a lonely single child who spent all her time with her parents. But I loved having guests over and hated saying goodbye. Since the time I woke up yesterday, I'd been feeling upset and depressed anticipating the goodbyes I'll have to say the next day. That's another thing I do where I anticipate difficult scenarios and start getting upset in advance instead of living in the moment and enjoying what I have in the present. There's much scope for improvement even now but at least I don't stare out of a window and cry for days because I miss someone. Instead, I write about the people I love and miss, and dedicate blog posts to them to keep their memories alive with me forever. I guess that's a great improvement. As you might be aware, every Thursday, we at Desi Outsiders release our new podcast episode and on 22 Nelson Street, I curate a playlist of songs that Shane and I have been loving that week. We spent this past week with Meenal and as always, music was a part of our time together. However, instead of us making her listen to songs that she "wanted to slit her wrists to", she introduced us to some amazing Desi music. 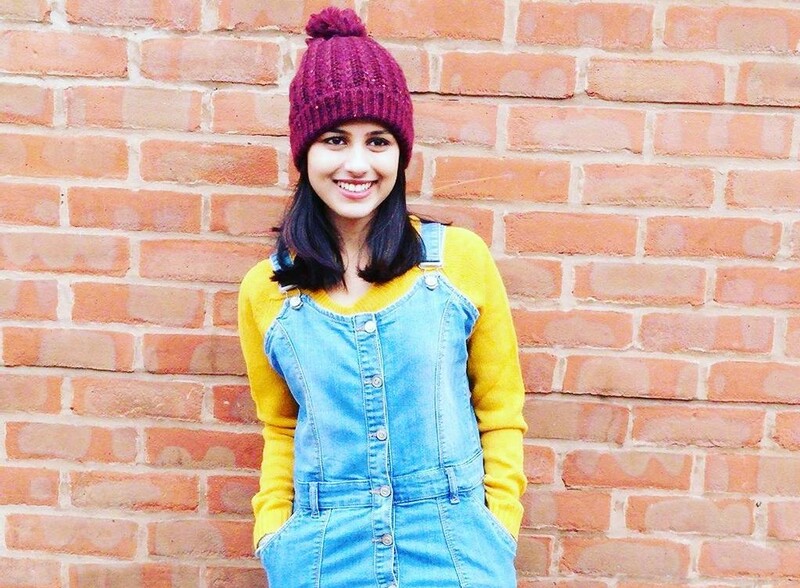 Meenal is really into Indian folk music and poetry, especially the forms that are reimagined and modernised, and it was through her that we came across the band called Noori as well as the episodes of Coke Studio. 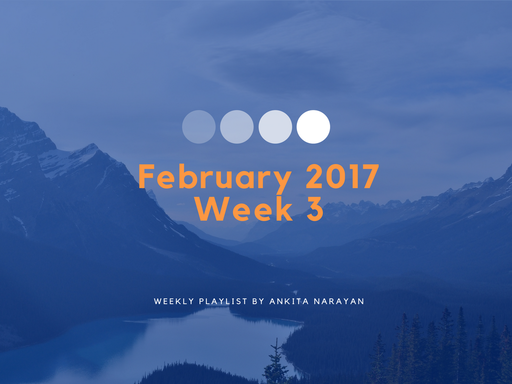 But this week's playlist is a little different from the rest because it's not all music. This is a curation of memories we made with Meenal. You might remember from the post she wrote on my blog yesterday that I had adopted a Southern Texas accent and kept referring to myself as Barb. If there's anyone to blame for that, it's Meenal. She introduced me to a Saturday Night Live episode where Melissa Mccarthy played the role of a hilarious character called Barb Kellner who wanted to start her own "Pizza eating business". From the way she said "pizza" to the way she ran into the room in slow-motion at the end, I identified with her. 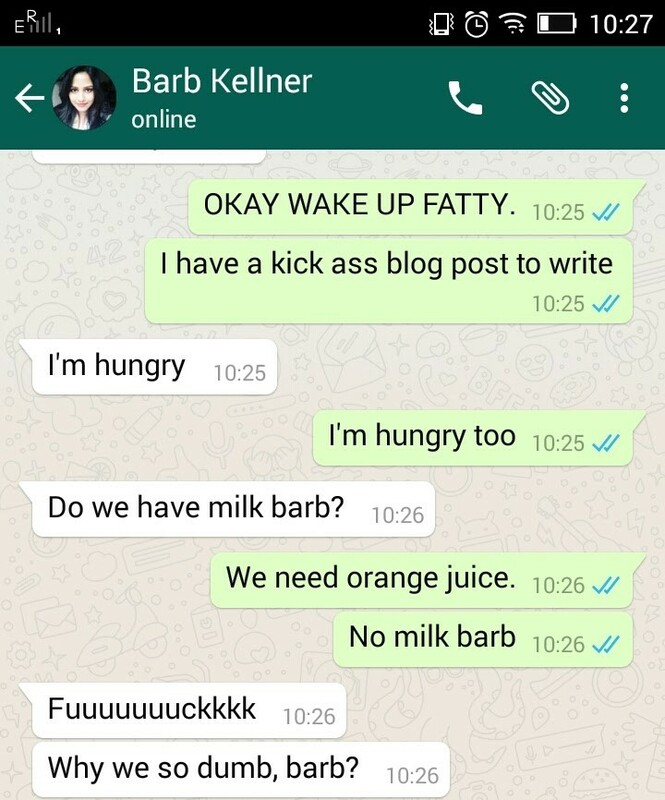 Barb Kellner is my spirit animal and the least I can do for now is talk like her. It's the first video you'll watch on this playlist and maybe you'll also get why I act the way I do in some of the future YouTube videos on Desi Outsiders. I just want to add that now, both Meenal and I refer to each other as Barb and it never gets old. We were coming up with a name for our internal Creator Platform for all our writers to get together and share ideas on. It's now called 'Barb and Barb Media Ltd.'. Also, she changed my name on her phone to Barb Kellner. By now, I'm sure you understand how much we stretch our jokes and how seriously we take them. I've also included 2 other SNL videos that Meenal sent me. One is about a poetry class taken by a woman who has a very peculiar way of saying 'Okay'. Ever since I watched that, I say 'okay' like her. The other one is another Melissa Mccarthy episode that I don't want to spoil for you. And as always, this playlist ends with my favourite song from the ones Meenal introduced us to. I hope you enjoy it.